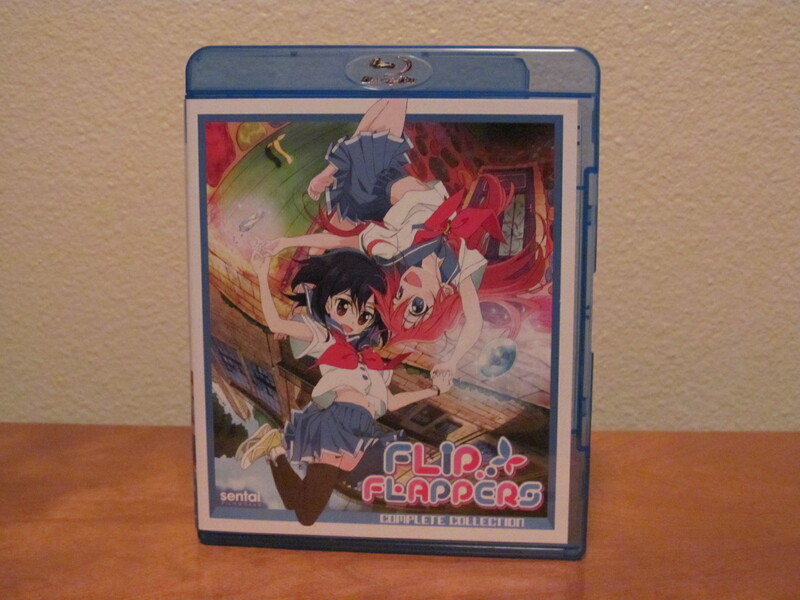 Sentai Filmworks has released Flip Flappers Complete Collection on a two-disc Blu-ray set. 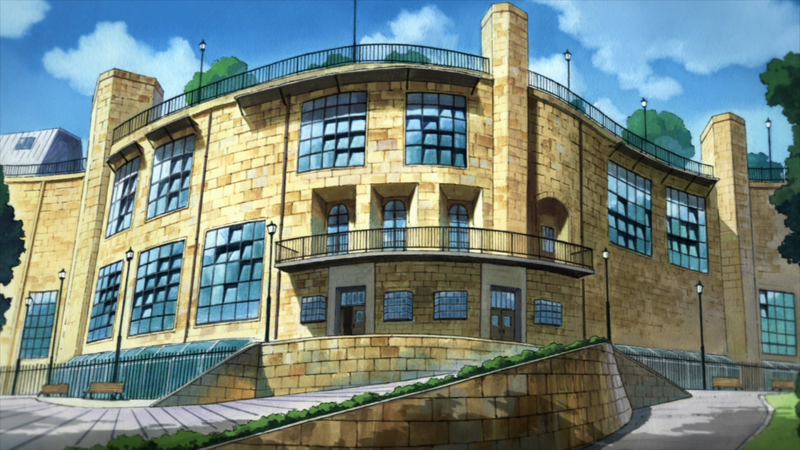 The show is from animation studio 3Hz (Celestial Method, Dimension W, Princess Principal) and was originally aired in 2016. 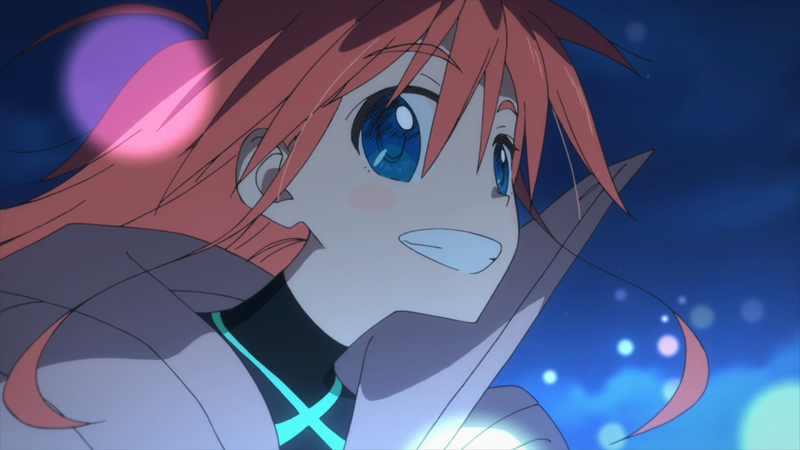 Flip Flappers centers around a secret organization called Flip Flap. This group has found entry portals into an alternate dimension, which is called Pure Illusion. Monstrous creatures live in this odd dimension and inside the beasts are magical fragments. These fragments give the wielder the ability to make wishes come true. 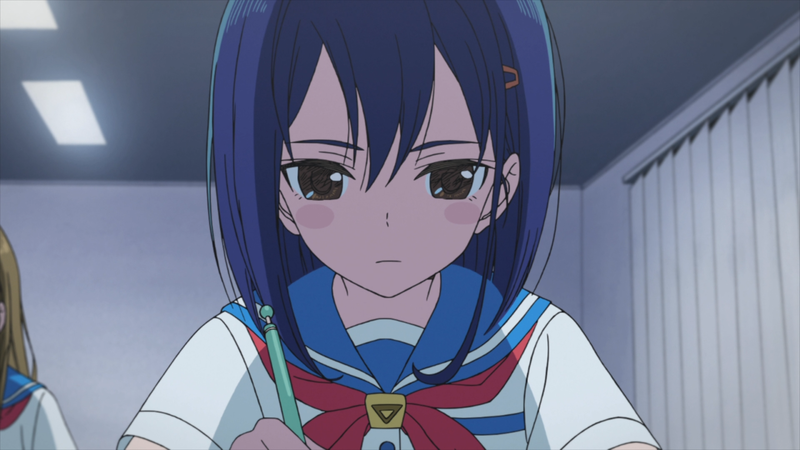 We are introduced to Cocona, an average girl just going to school and living with her grandmother. The only concerns she has in life is what kind of career she should have and make sure to concentrate on her schoolwork. However, Cocona meets up with Papika, a strange girl that seems very bouncy when compared to Cocona. Papika knows about the secret organization Flip Flap and thinks the two of them would be perfect to be partners. Once they join and are off on their first mission they discover using fragments give the girls the ability to turn into magical superheroes. In the dimension of Pure Illusion, Cocona transforms into Pure Blade and Papika transforms into Pure Barrier. 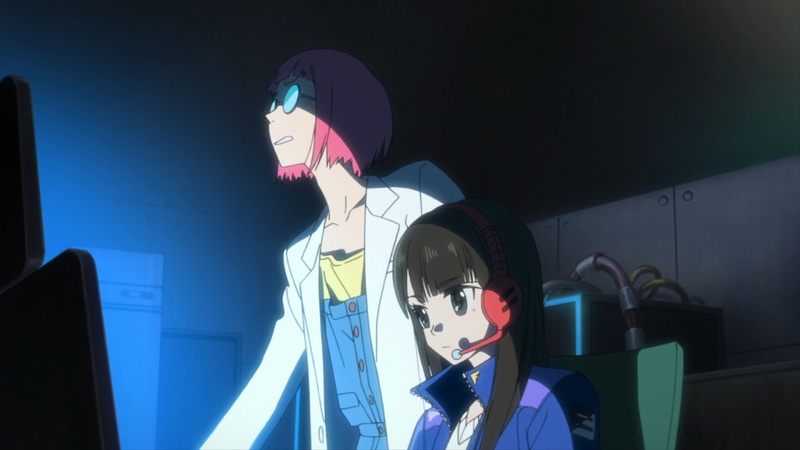 However, the girls are not the only ones able to enter this dimension and they discover other girls on different teams vying for fragments and defeating the dimensional creatures. Will the girls be able to be the best team in Pure Illusion? 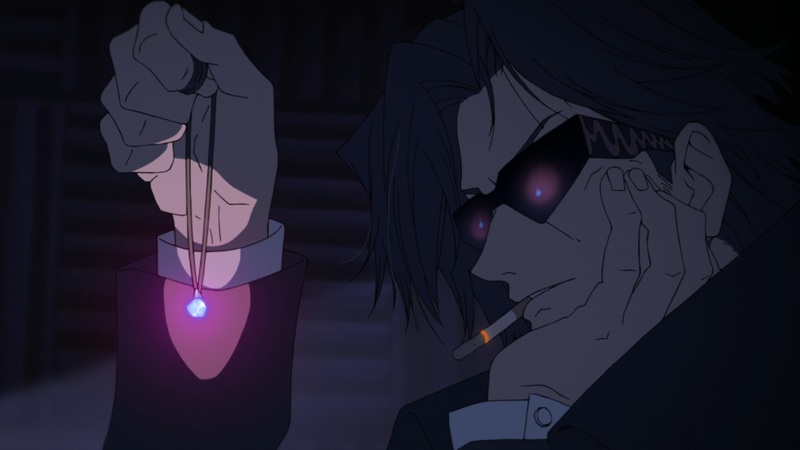 Why does Flip Flap want the magical shards? 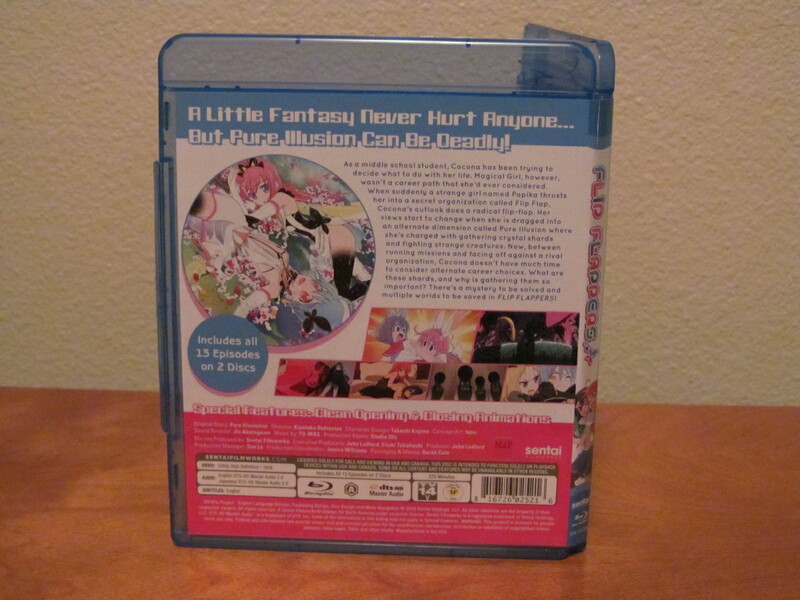 You’ll just have to check out the 13 episodes contained on this Blu-ray pack to find out. Typically I only watch shows in their native language with subtitles but this localization dub is pretty well done. Veteran voice actresses Luci Christian and Brittney Karbowski play Cocona and Papika respectively. So I think fans of either format will be happy with what Sentai has on this release. The Japanese voice actors do a great job as well, the energy that Mao Ichimichi brings as Papika makes the character come alive and Minami Takahashi does a great job balancing Cocona’s personality with the strange situations she finds herself in. I think the show is a lot of fun. The characters are presented in a nice lighthearted manner that makes watching the show enjoyable. 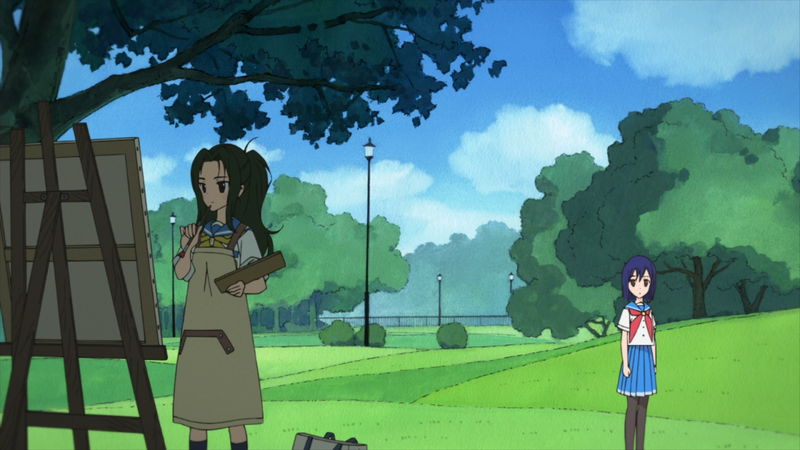 It’s not all cartoonish violence and weird plot contrivances since there is also quite a bit of interpersonal relationships and school age based issues talked about in the dialog and plot. It’s a nice mix of fun characters, serious backstory and wacky plot. I can’t really determine how popular this show is (as no one I know watches or talks about anime) but if this show is not very popular it should be. The colorful designs and art are what you would expect from a modern anime and Sentai does its normal great job of delivering on the transfer. The audio is Japanese DTS-HD Master Audio 2.0 with English subtitles or a localized dub in English DTS-HD Master Audio 2.0. You get around 325 minutes of entertainment on the two Blu-ray discs. 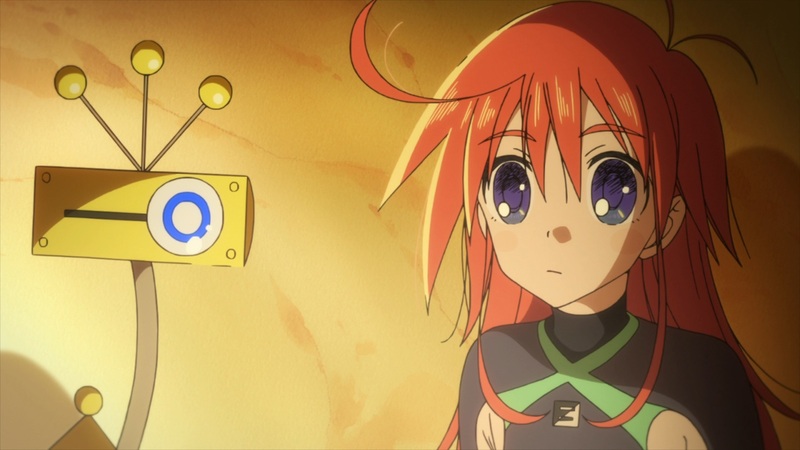 I think if you are a fan of anime you owe it to yourself to check Flip Flappers out. It has solid visuals, a strong cast of lead characters and is deep into world building with lots of neat details. The animation has a nice fantastical dream-like quality to it and if you like the screenshots you will enjoy the art style of the show. The music is very happy and fits the feel of the show. If that sounds like the kind of anime you have been waiting for you can pick up your copy from Amazon or other fine retailers. There is also a ‘Premium Edtion‘ available also.